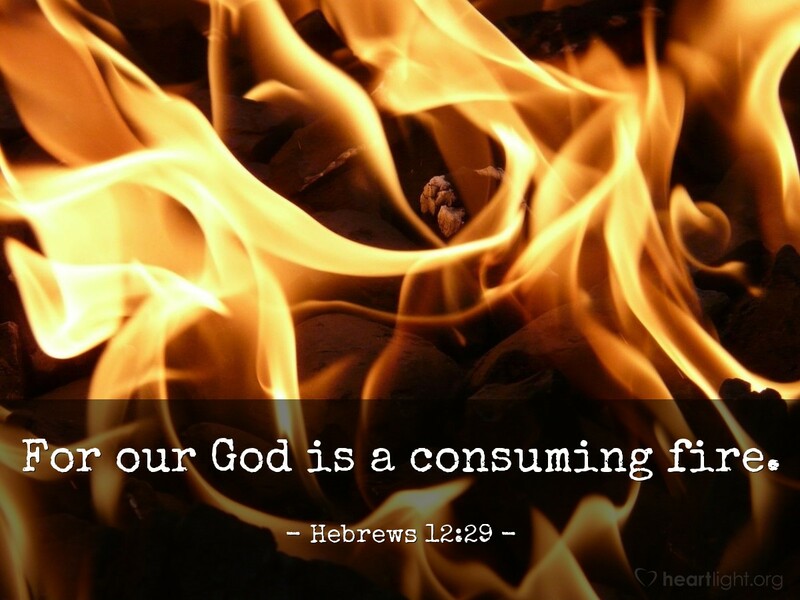 We should worship God with reverence because he is a consuming fire! Mmm. What does that mean? Is the focus on his holiness? Does this warn of judgment? Is this an expression of his purity? Yes, YES, YES! You see, God is holy and pure and righteous. Our imperfections, flaws, failures, and sins stand out glaringly in comparison to his perfection. Yet rather than destroying us with his holy fire. He can make us new and clean and more than what we once were. So not only can we draw near to him because of Jesus, we can stay near him as we live Jesus' life in our world (see Hebrews 13). That, dear friend, is reverential worship at its finest! Righteous and holy God, please forgive me for my sin, my lack of boldness, and my unexercised faith. Thank you for not compromising your holiness, but, instead, sacrificing your Son to perfect and purify me by your grace so I can come before you. As I live this week, may your holiness be exalted by my conduct and reflected in my character. I ask this in the name of Jesus Christ, my Lord and Savior. Amen.